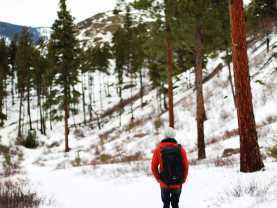 Sporting weather-appropriate clothing and gear, hikers love to get out on warm winter days to explore the landscapes around the Okanagan. 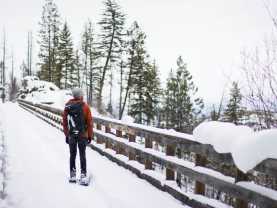 The Canyon Rim Trail (2.6 km/40 minutes), in Bear Creek Provincial Park, off of Westside Road, takes hikers up to the top of the canyon along staircases and walkways. Bear Creek rushes through the bottom of the canyon and entails several waterfalls of various sizes, that look amazing when frozen or partially frozen. 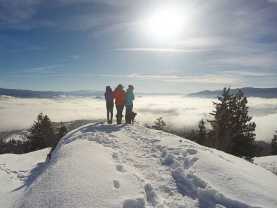 Views of Kelowna and down the valley can be admired along the way. Please note, the parking lot at the base of the trail is closed during the winter months, but parking is available along the road. 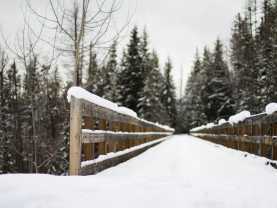 The Apex Trail at Knox Mountain (4.2 km/1 hour) is popular year-round, including in the winter. Be prepared for slippery sections over well packed areas. Breathtaking views of downtown Kelowna can be seen from the Apex. 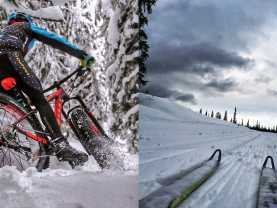 Out of all trails in Kelowna, it is one of the first to melt in the spring due to its low elevation. Mt. 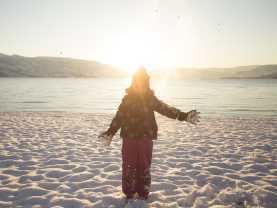 Baldy in the Dilworth area of Kelowna, provides hikers of all abilities with a 3 km loop trail, and is a great location for sledding! Virtually no trees adorn its sides which provide these great views, and hence its name. 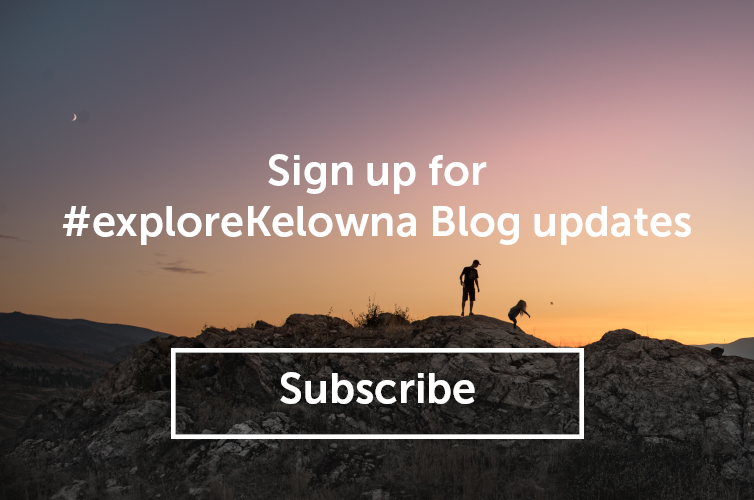 Winter in Kelowna is generally mild giving you plenty of opportunities for you to get outside and enjoy the best winter hiking trails that the region has to offer!